5 things about credit and credit scores you must teach your kids! Our personal finance management needs to support this endeavor. Planning for this is not a onetime plan but a constant process. Experience teaches us those things which are not a part of the formal education curriculum. However, some of these things are very much a part of everyday life and impact the way we live. Handling credit and managing personal finance is one such thing. Learning to earn is not enough. The focus needs to be on building a sustainable lifestyle which is aligned with our life goals. Our personal finance management needs to support this endeavor. Planning for this is not a onetime plan but a constant process. Developing the right attitude towards credit and money management is important. The best teachers for this are experience and time. We have all learnt along the way. Listing a few lessons here, which are worthy of being shared with the next generation for their benefit! So you really liked something you saw in the mall and want to get it? Great! Sleep over it. Well, this is one of the most valuable lessons you can teach you kids. Do not jump in and part with your money simply because something pleased your eyes or got you excited immediately. More often than not, the impulse would wear off 24 hours later. And if it still occupies you mind, conduct a market research. Study the features, compare the cost and then plan to make the purchase. Easier said than done! This one pays off in a big way. #2 Choose to wait and save over borrowing quickly! Well, this one comes down to good old planning. If you cannot afford it right now, it means you need to save. It does not mean seeking credit and making the purchase anyway. Often when we tell kids that there is a cash crunch and we cannot buy something right now, they simply tell us to swipe the card! While we are amazed at this generations early exposure to products like Credit Card, what needs to be noted is that they do not fully understand the working of these credit products. While it is easy to swipe the card and make a purchase on borrowed money, an inability to repay in the long run will cost dearly. Instead it’s much easier and better to wait, plan and save for it. #3 Spend only if you can pay off the whole amount at the end of the month! Gone are the days when the devil had red horns and an evil face! These days they come in the form of credit cards. If you don’t know how to handle them, these devils can tempt you and put you in real deep trouble. It is important that kids understand that credit card payments are made of borrowed money. There is a cost attached to that. Spend using credit cards only if you are confident that all outstanding dues can be cleared at the end of the month. Plan for major loans. These will include categories like home loans, car loans, education loans, etc. These loans are a necessity and all of us go in for it at some point or the other. However, if the timing is planned well in advance, it will be easier to manage. If left unplanned, borrowings can become need driven. And if that happens managing multiple loan repayments can be daunting. This situation can have a negative impact of the CIBIL score as well. Planning the borrowing makes you feel more confident. You can negotiate for better rates and have a stress free repayment experience. Kids who know this will be smart borrowers who steer clear of any credit trouble. 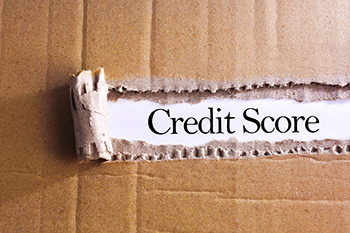 All credit trouble can be avoided if repayments become a priority. Teaching kids this early on will help them in managing their expenses efficiently. Setting aside repayment money will also ensure there are no delays and potential defaults. This will impact the CIBIL score positively and shall help in availing credit easily in the future. Plan and account for the monthly expenses and schedule to repay what is borrowed first. They will be forever indebted to you for this golden lesson! It is not uncommon to see confused adults around us who are struggling with debt, don’t have enough savings and plummeting CIBIL scores. If only school curriculum included these credit lessons, they could be better equipped to deal with these things in life. Teaching your kids about this is equivalent to giving them an invaluable gift. The returns from which will definitely make their life better.